Home / Future Europe / We Started from Brexit, but Was Brexit the Will of the People? The news is that, after the era of full trust in social media as sources for a better information and potentially a more accessible society, now users wonder whether facebook and other social networks are having a negative impact on democracy. In fact, a survey published by Bild am Sonntag, Germany’s largest–selling Sunday paper, found that 60 percent of Germans have that fear. 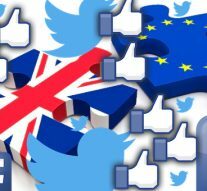 Altough in recent years the social media platforms have been more and more considered as non-neutral, when people began to suspect that Russia had somehow influenced the results of the referendum of Brexit and the elections in Italy, Us and France, the public shame focused more on the alleged Russian manouvres than on the exploited platforms. Whilst the Cambridge Analytica scandal triggered blame directly off to facebook. The allegations are that the British consultancy Cambridge Analytica improperly gained access to users’ information to build profiles of the American voters. Those information were later used to help the U.S. President Donald Trump to win the elections in 2016. Given the potential dimension and seriousness of the threat to democracy and its very basic mechanisms – i.e. the legitimacy of democratic votes – it’s the governments and not only the users to feel outraged. Therefore, the world’s largest social media network is coming under growing government scrutiny in Europe and in the United States, and is trying to repair its reputation among users, advertisers, lawmakers and investors. It’s legitimate to point the finger at the world’s largest social network and a data analytics firm with somewhat shady political connections. But there’s one sizeable piece of the puzzle that’s missing from the world’s newfound fixation on digital privacy: voters themselves. In the nonstop global election cycle of the last 18 months, people across Europe, United States and elsewhere have readily handed over their online information to campaigns with little thought about what such data would be used for. That includes willingly participating in online surveys, sharing social media surnames and downloading smartphone apps to offer political movements almost unprecedented insight into – and access to – their thoughts and voting intentions. On the 3rd of April, German Greens MEP Sven Giegold, who is Parliament’s rapporteur for transparency, accountability and integrity in the EU institutions, said: “The facebook scandal is a stab in the heart of democracy. It is about much more than breaches of data protection rules; it is about the legitimacy of democratic elections and referenda. It is now the responsibility of democratic institutions to find out to what extent illegal practices have influenced democratic elections. Should it transpire that illegal methods of Cambridge Analytica have indeed influenced the outcome of the Brexit referendum, the legitimacy of the vote would be in doubt.” Giegold added: “I expect facebook and Cambridge Analytica to cooperate in clarifying these allegations. Facebook must fully disclose how the platform can be used for political purposes. If business models based on collecting data endanger democracy, then democracy must set strict corresponding rules. Transparency in election campaign management and election financing plays a key role in ensuring the legitimacy of democratic elections”. When looking at the knife–edge result of the Brexit vote and considering the recently released allegations over the ownership of personal data and their biased use by private companies, one can seriously question if the sovereignty of democracy is still coherent with its etymology, so to the people, or to a few and democratically uncontrolled private companies. The discussion over the Future of Europe was triggered by Brexit. It has always been a matter of democracy, but it may be an empty debate, if not underpinned by a broader discussion on democracy and on how to protect its fundamental mechanisms without harming the legitimacy of votes. See Martin Banks, Cambridge Analytica/Facebook scandal ‘a stab in the heart of democracy’, warns MEPs, The Parliament Magazine, 4 April 2018. « Previous Article Is the Digital Single Market a New Economic Chance for the EU?